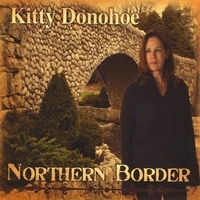 Northern Border” is my 4th songwriter CD (not including an all-Michigan family project). The title has more to do with a feel than an actual songwriting theme. Living a stone’s throw from the Canadian border, my music is strongly inflected with the accordions, fiddles, and pipes that are common sounds in their music, as well as being an inherent sound from my Irish heritage.There’s a moodiness sometimes, questioning, exuberance, earthiness…all of the elements that define us as humans! I have some great guest artists on this release, such as Jan Krist and Claudia Schmidt, Tyler Duncan, Jeff Taylor and others. Not to mention David Mosher – producer, friend, and “uber-musician”. “Recommended” Dirty Linen“A remarkable recording.” Sing Out!